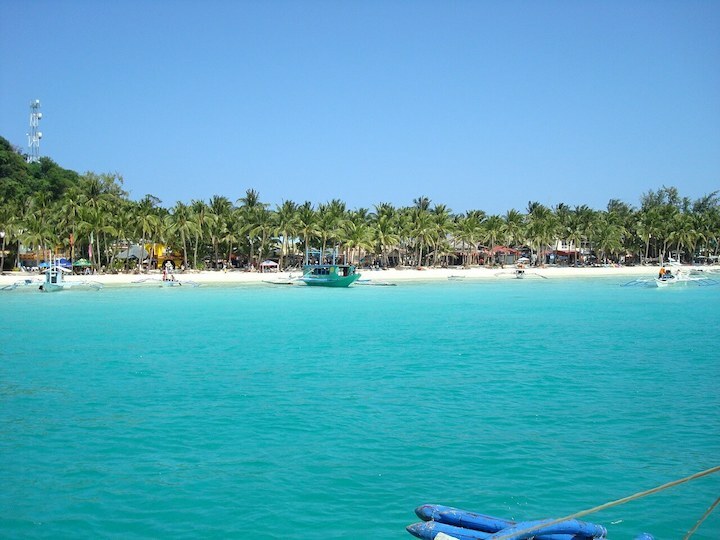 Boracay Island is sandwiched between land masses. Because of its location, Boracay does not produce the kind of waves that will make surfing possible. 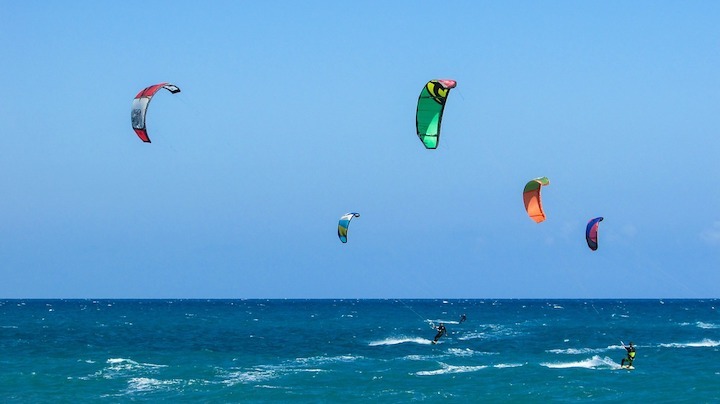 Its year-round temperate weather and reliable winds, however, make it an ideal location for two unique kinds of surfing: kitesurfing, and windsurfing! Kitesurfing harnesses the force of the wind through a large power kite, and uses standard surfboards. 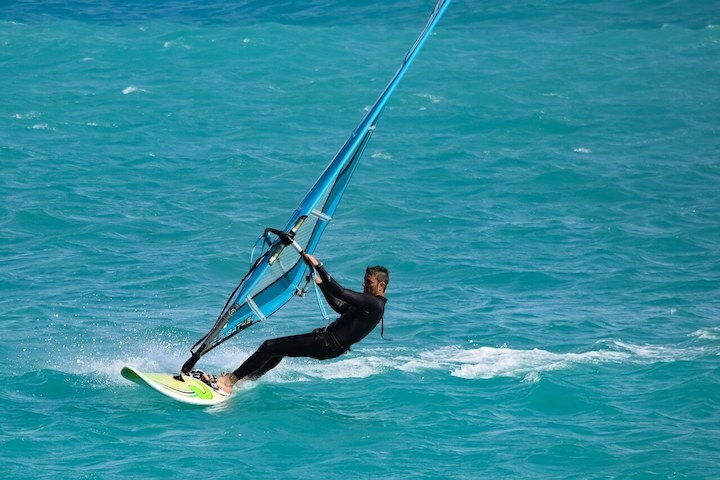 Windsurfing, on the other hand, uses a board powered by wind via a sail controlled by the surfer. There are several kitesurfing and windsurfing schools located along Bulabog Beach. You can book classes before traveling to Boracay, but this is not necessary. Most travelers arrange their classes on the spot, and don’t encounter any problem. You won’t have to bring any equipment either, as the schools can provide them for you. Arranging your classes on the spot will also allow you to have them only when the weather is optimal. While surfing the waters, you get so lost in the moment and you leave your worries on the shore. You get to forget about your work commitments, personal issues, and bills to pay. Spending time in nature, by itself, is enough to relieve you of stress. Research revealed that spending time in the great outdoors can reduce the levels of cortisol, your body’s main stress hormone. Another study found a decrease in both cortisol levels and the heart rate of students who were subjected to nature therapy. The mere view of nature can reduce the stress levels and increase the job satisfaction of office workers. It’s also worth mentioning that spending time in nature helps improve short-term memory, restore mental energy, reduce inflammation, improve vision, boost the immune system, fight cancer, and foster sharper thinking and creativity. And oh, surfing under the sun means you get a good dose of Vitamin D. Who knew fun and healthy could come hand in hand? Both kitesurfing and windsurfing have their challenges. You may find yourself launching the kite in terrible conditions, or controlling the sail the wrong way. These mistakes can be prevented by learning to read a wave and wind report. As you try to master the art of controlling the kite or the sail, you’ll earn the navigation skills needed to kite downwind and upwind and sail from one point to the next. Your newly-developed navigation smarts can help you easily learn other sports and life skills that require the same know-how. 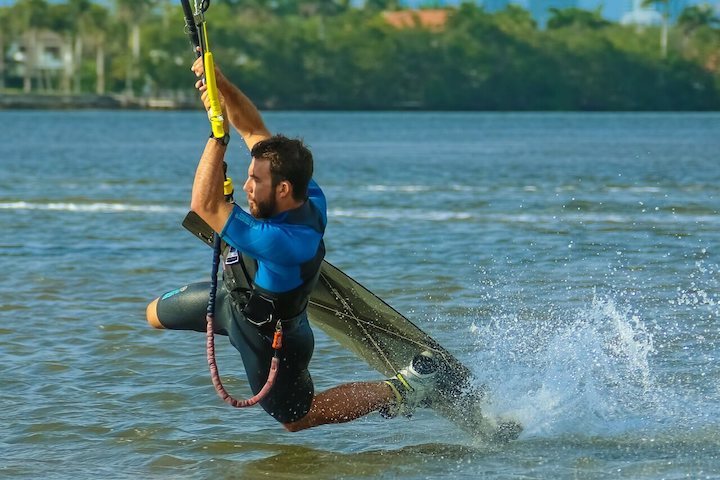 Every time you launch the kite while kitesurfing, you get to have a full body workout. The same goes when you try to balance the heavy sail while windsurfing. Your legs, arms, and core are all fully engaged as you surf through the water. 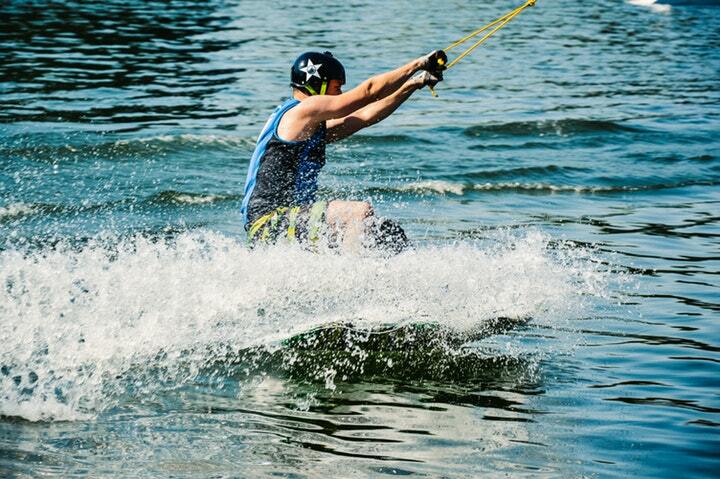 And unlike wakeboarding, kitesurfing uses a harness that relieves you of excess strain on the back and shoulders. Although it’s a strength-building activity, the sport stays easy on the joints. While you have to drag yourself to hit the gym, you won’t have to force yourself to go kitesurfing or windsurfing. It’s just so much fun! Kitesurfing and windsurfing demand that you focus and remain completely in the moment. Focusing on the position of the kite or the sail, your surroundings, and the direction that you’re headed will not leave your mind any space to wander. All it takes is a small movement of the arm to stir the kite or the sail in the wrong direction. Such a highly-focused movement trains your brain to be extra alert. It also helps you practice mindfulness as you are forced to stay in the moment. 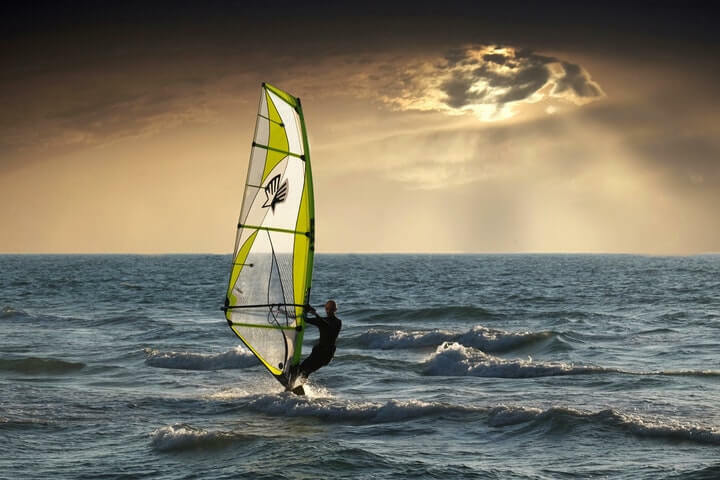 Kitesurfing and windsurfing will have you releasing endorphins, the neurotransmitters that lead to a natural high (it can also serve as a painkiller!). It’s the reason why some people get obsessed with exercise. They can’t get enough of the so-called “runner’s high.” Getting hooked on this kind of high will bring you no harm, and will only make you less stressed and healthier. Kitesurfing and windsurfing are inherently interactive activities, mostly because traversing a crowded spot will have you relying on respect and communication to set boundaries and stay safe. Kitesurfers and windsurfers tend to be easy to approach and talk to. Even if it’s your first time to travel to Boracay, you will find friendly faces within the surfing community. These people tend to bond both for camaraderie and safety reasons. Once you’ve tried kitesurfing and windsurfing, you’ll want to keep coming back to Boracay even more. As if you needed any more reason to love the island! It’s also only a matter of time before you go beyond a flat water paradise, and try kitesurfing and windsurfing in waves. You’ll be looking at a map in a whole new light. Wherever there’s water and wind, there’s a potential for some surfing fun. You’ll be aching to discover less known destinations like the Dominican Republic, Egypt, and Western Australia. Your bucket list will be much richer. Learning board sports improves your balance and coordination. Having to control the kite or sail, balance the board, and observe and navigate your surroundings all at the same time is not an easy feat. Mastering these skills and learning to multitask will help you reach new levels in terms of balance and coordination. Learning to kitesurf and windsurf can be both challenging and frustrating. 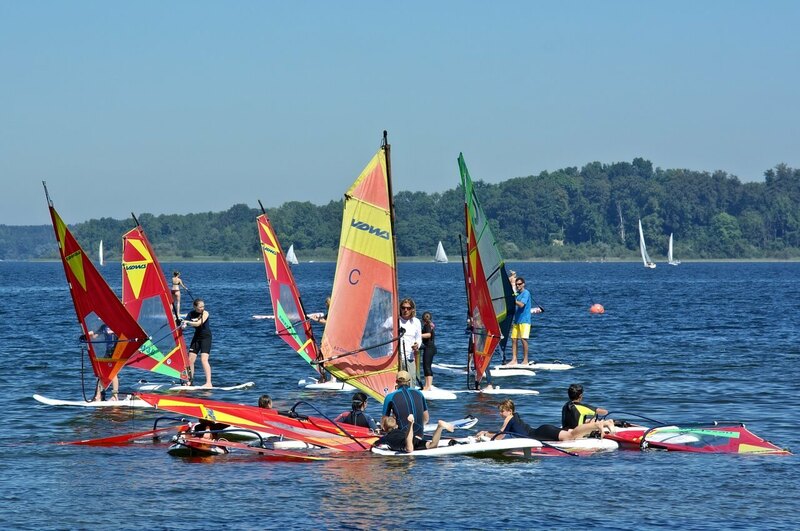 During the first few hours of learning the sport, you will constantly lose control of your board and kite or sail, even fall on your face a few times. You will have to learn to get past the embarrassment, discomfort, and frustration to successfully surf through the water. It’s a true test of patience and will have you learning to persevere and to be more persistent. Perseverance and persistence are two attributes that will help you get past obstacles and succeed in your endeavors. Beyond just getting a chance to stay at your favorite hotel Alta Vista de Boracay, learning to surf offers yet another reason to travel to Boracay. Plan your summer activities early on, and book a trip to Boracay. Awesome summer adventures await you!